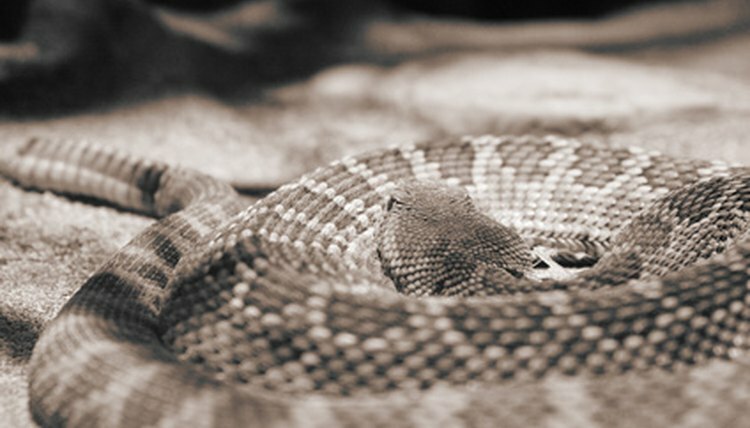 For many people, nothing is more terrifying than a rattlesnake. The slithering, slimy creatures are what many nightmares are made up of, and keeping the reptiles away from your home and loved ones is of the highest priority. Luckily, there is a way to repel these nasty creatures efficiently and cheaply. By using the following tactics, rattlesnakes will be a problem no longer, and you can go about your daily routine at your home in peace. Mow your lawn and keep the grass low at all times. You will not have to worry about mowing so much in the winter, but if you have a lawn that has quick growing grass around the spring or summer months, then you will need to mow your lawn between one to two times per week. Additionally, you will need to use a weed eater to keep the weeds and hard to mow places cut. Trim your bushes and keep them low to the ground. Like grass, bushes are cool and inviting to rattlesnakes. Place mouse traps along your home and catch any mice that may try to sneak into your home. This will not only keep pesky mice from invading your home, but it will also keep rattlesnakes out of your home as well. Pour moth crystals and powdered sulfur into a bucket and stir it well. Because a strong stench will be produced when mixing these substances together, you may want to wear a disposable air filter mask if it becomes too strong for you to handle. Once you have mixed the substances together, pour the mixture into any cracks you may have around your house. Once poured, pour the substance around the vicinity of your property to keep the rattlesnakes away.